It may have been shocking to some to see Facebook come out swinging this week in a call for government-enforced social media regulation, after a year of dominating headlines for numerous reports of data and privacy abuse, hostile foreign powers manipulating the U.S. electoral process that flagged huge trust issues with end-users and even unwittingly promoting genocide in Myanmar. Facebook's call for regulation gives the appearance of a company that has learned from its mistakes, but look closer. While Mark Zuckerberg's op-ed in the Washington Post made a strong call for regulation in four areas—harmful content, election integrity, privacy and data portability—he holds up Facebook as a model to follow. How is that? 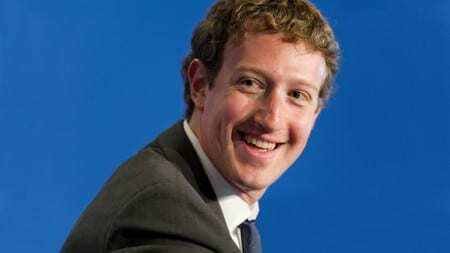 "Facebook already publishes transparency reports on how effectively we're removing harmful content," Zuckerberg wrote. "I believe every major internet service should do this quarterly, because it's just as important as financial reporting. Once we understand the prevalence of harmful content, we can see which companies are improving and where we should set the baselines." He goes on to point out that Facebook has also made changes to verify political ads. Zuckerberg also advises that new privacy regulation "should build on the protections GDPR provides. It should protect your right to choose how your information is used—while enabling companies to use information for safety purposes and to provide services." He stresses his belief that a common global framework, "rather than regulation that varies significantly by country and state," will keep the web from fracturing and ensure that entrepreneurs are building products that provide everyone with the same protections. "And it should establish a way to hold companies such as Facebook accountable by imposing sanctions when we make mistakes," adds Zuckerberg. While this is well and good, he also recommends that Facebook be directly involved in standards-setting. This, combined with his promotion of the platform's efforts, demonstrates clearly that Facebook only wants regulation over which it can have some control. This has not escaped the mainstream press, who saw right through Zuckerberg's play as privacy advocate. "Facebook has faced months of scrutiny for a litany of ills, from spreading misinformation to not properly protecting its users’ data to allowing foreign meddling in elections," said Mike Isaac of the New York Times. "Many at the Silicon Valley company now expect lawmakers and regulators to act to contain it — so the social network is trying to set its own terms for what any regulations should look like." These are clearly not the headlines Facebook intended to create with its announcement. While getting ahead of government regulation can be a great PR move in the face of inevitability—like JUUL's actions to restrict underage use of its product and deletion of its social media accounts—Facebook's attempt was missing an important piece: the mea culpa. As the Editorial Board of Bloomberg wrote: "Facebook Inc. has mastered an array of corporate aptitudes — including its use of euphemism and obfuscation. So when its boss, Mark Zuckerberg, writes an op-ed asking governments to impose some new regulation on his company, a little skepticism is in order. Make that a lot of skepticism." With public trust of the brand still at an all-time low, holding up the platform as a vanguard for privacy is just too tough of a sell. Content Director Melissa Hoffmann can be reached at mhoffmann@accesintel.com. Follow her on Twitter: @editormelissa.